Nikki Bella is “very happy” her ex-fiancé John Cena is dating again, despite her initial reaction. Even though Bella took the high road when learning of Cena’s new woman, the former wrestler said she will “rack-attack her in a heartbeat” if she breaks Cena’s heart. “Still protective of that man,” Bella added. On April 1, E! News identified Cena’s rumored new girlfriend as Shay Shariatzadeh, a product manager from Vancouver, Canada. Bella said she and Cena, 41, have been broken up for a year, so the pictures weren’t a total shock because the exes have been honest about dating other people. 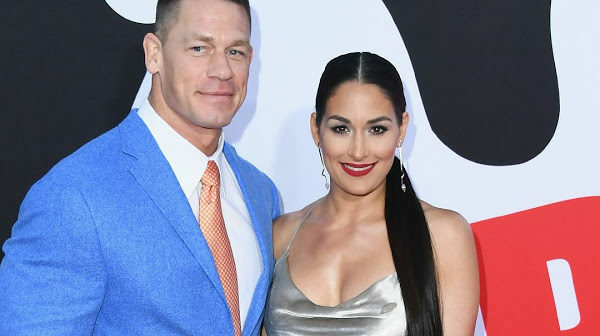 The “Total Bellas” star also admitted that she felt like she “embarrassed” and “disappointed” Cena during her breakup because she got to control a lot of the narrative about the split on her show. In March, Bella confirmed she is dating her former “Dancing With the Stars” partner Artem Chigvintsev.